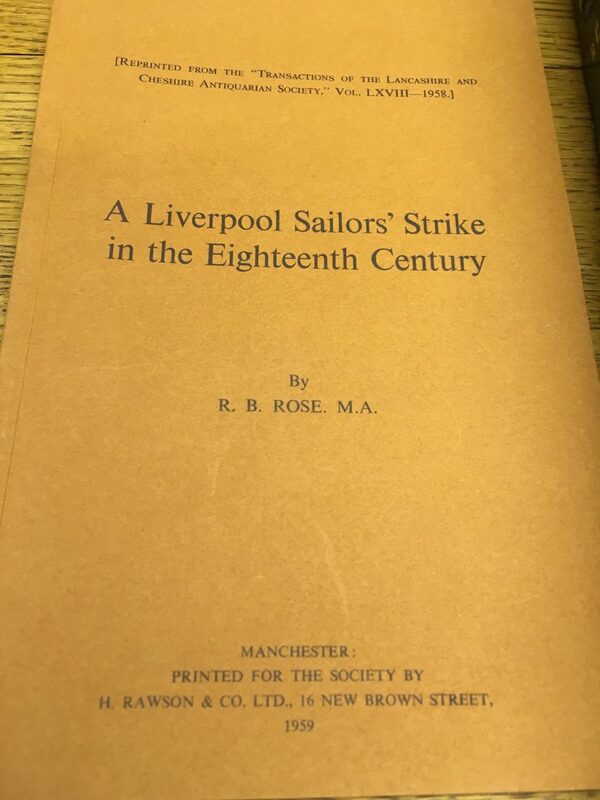 Continuing the search for archive material pertaining to the social history of Liverpool, I spent some time going through various collections in the Library Of The Working Class Movement. Based in Salford, Greater Manchester, The Library Of The Working Class Movement is an archive of 200 years of the working class live, and specifically the class struggle in the UK, including collections from The Trade Unionist Movement, The Suffragettes, The Communist Party etc. 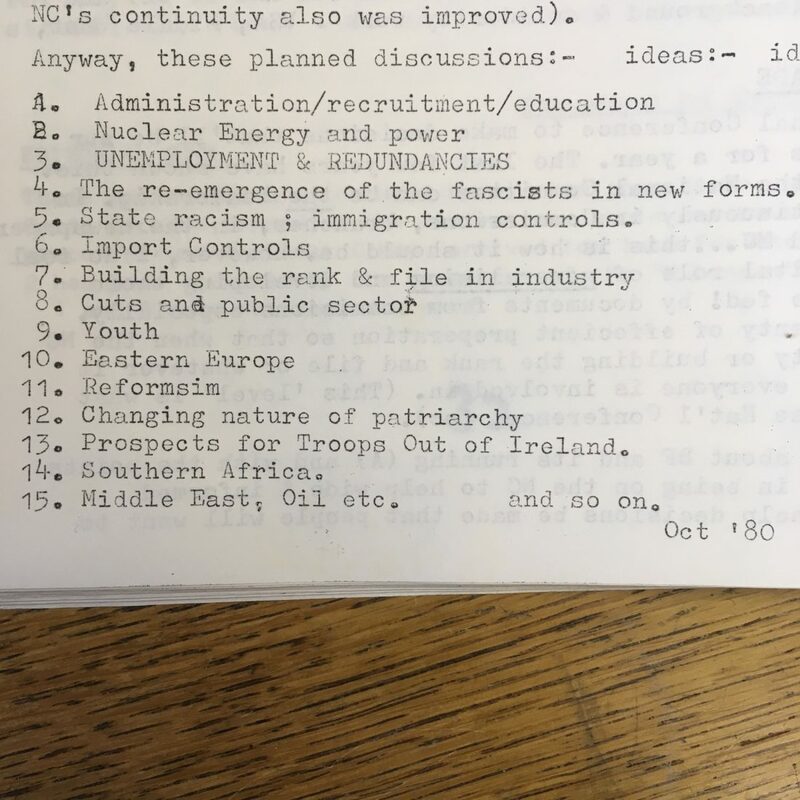 The archive contains a phenomenal amount of records, leaflets, books and ephemera from all sort of facets of the class struggle. As it relies on donations form individuals and organisations, their archives lean towards the social history of Greater Manchester. 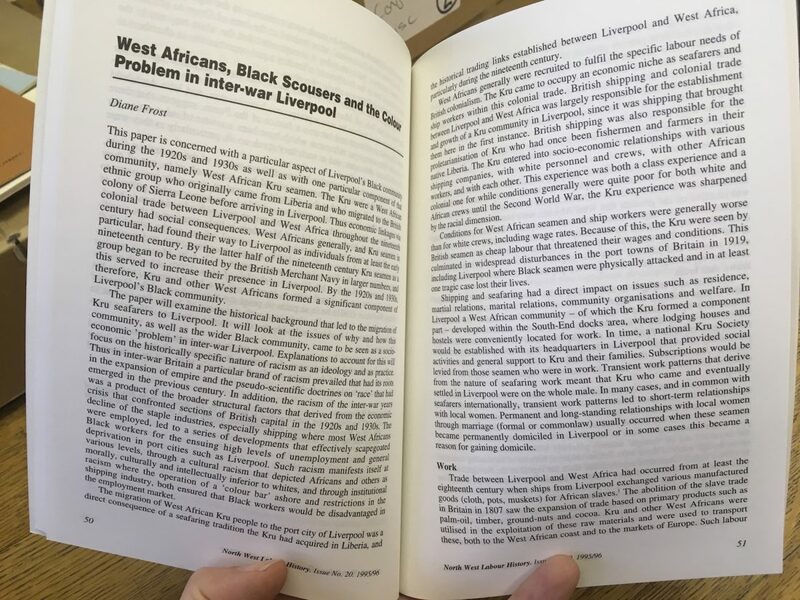 But, it seemed worth spending some time in for two reasons: Firstly, Liverpool and Manchester were both historically part of the county of Liverpool, before the counties were re-organised, so they was a lot of overlap in terms of activism and organisation of the working class. 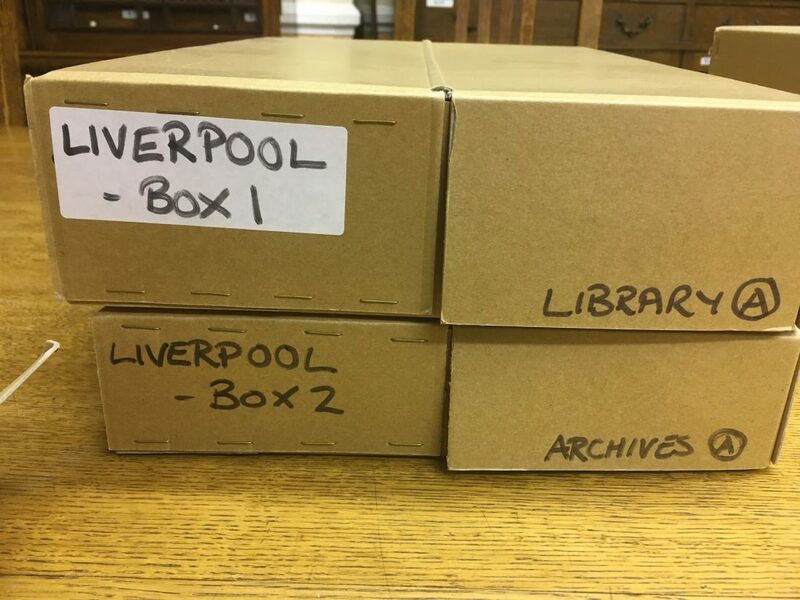 Secondly there doesn’t seem to be an equivalent archive specifically for Merseyside. Aside from these, there was a great collection of books, leaflets and the like produced largely by the Trade Unionist movement. 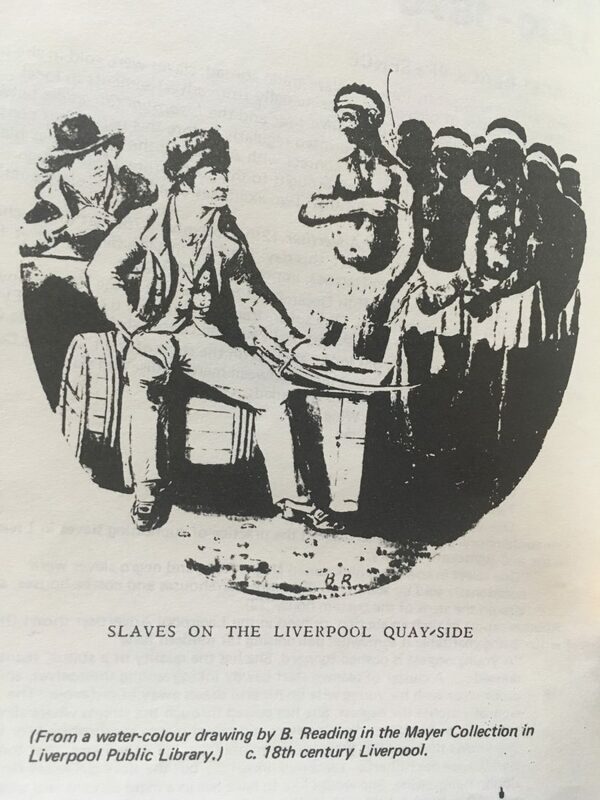 These revealed the long history of radical, co-ordinated action in Liverpool, the long history of Black population, and the problematic connections between them.